The tech giant’s rise has pushed mail clerks and carriers to the breaking point. Every day postal trucks drop off about 4,000 packages at a US Postal Service station in central Tennessee, where they’re unloaded by a team of around six USPS employees. Each person grabs a box, rushes to the only scanning machine, runs the bar code, and then places it in the proper gurney for its route. The process takes about 10 seconds, and it can be repeated as many as 200 times in an hour. Amazon was able to make a deal to ship its packages through USPS at cut-rate prices, because the company preemptively sorts and labels packages by postal route. But transporting and distributing these packages still takes clerks like Amanda much longer than sorting letters, which can be fed through a machine. If the clerks are delayed, the station’s carriers will be delayed in starting routes, which are already longer than ever thanks to the packages filling up their satchels and trucks. Many won’t deliver their final box until well after the sun has set. For decades Republicans have painted the USPS as a prime example of government inefficiency. Just last year Republican Congressman Darrell Issa of California, one of the its most vicious critics, implied that the agency could be nearing its end. “Ladies and gentlemen, it’s the third quarter, and you’re down by 25 points, and if Tom Brady doesn’t come in, you’re bankrupt,” he said, referring to the quarterback of the New England Patriots known for his comeback victories and alleged support of President Donald Trump. But there’s no reason for the Post Office to be struggling. 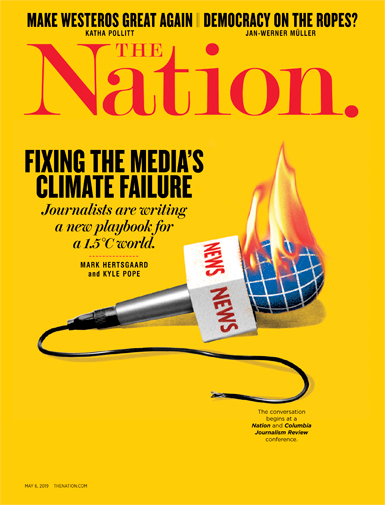 It sustains itself through postal revenue (receiving no taxpayer money), and was profitable through the early 2000s, even as e-mail became ubiquitous and the number of letters decreased. But in 2006, a Republican-led Congress passed the Postal Accountability and Enhancement Act (PAEA), a bill that set the USPS’s pricing scheme for the next decade. Included almost as a footnote in this legislation was an ambitious requirement: The USPS would prepay decades of employee health-care benefits over only 10 years, at a rate of about $5 billion a year. Some politicians voiced concerns at the time about the size of the payments, but USPS revenues were higher than ever, and the bill passed with bipartisan support. The USPS ponied up for the first few years, but then the Great Recession hit and mail volume from large companies dropped off. The annual $5 billion obligation became too much, and the USPS stopped paying. The result has been what Steve Hutkins, an NYU professor who runs the blog Save the Post Office, called a “manufactured crisis” that has fueled conservative arguments that the USPS should be privatized. Republicans like Issa have used the inability to pay as an excuse to make “the argument they’ve wanted to make all along,” which is that government can’t get anything right and that the Postal Service should therefore be hobbled or privatized. One big reason the USPS has remained solvent in the age of e-mail, though, is the growing demand for package delivery, mostly driven by online shopping. USPS revenue was just about the same in 2017 as it was in 2005, according to annual reports, but packages now play a much larger role. In 2005, 1.1 billion packages made up around 3 percent of the agency’s revenue; in 2017, 5.7 billion packages made up around 28 percent. And in 2017 alone, package volume grew by 589 million pieces, an increase attributable almost entirely to e-commerce. Because the USPS guarantees universal service, its network of about 150 million addresses is far more extensive than that of private services like FedEx or UPS. Amazon takes advantage of this infrastructure and hires the USPS to perform what’s called “last-mile” delivery. Packages from Amazon’s local fulfillment warehouses are “injected” (as Amazon describes it) into postal stations and taken out along with letters, which saves Amazon the most expensive part of a cross-country delivery. According to one estimate, around 40 percent of Amazon’s packages pass through USPS hands. This has had a direct impact on workers in mailrooms and delivery trucks across the country. And union representatives and rank-and-file workers say that USPS management has pursued a profitable deal with Amazon without regard for conditions for clerks and carriers on the ground. The result of this refusal to adapt to higher package loads, Amanda said, has been strain and injury. Clerks in her often short-staffed station frequently reach the breaking point of exhaustion, storming off a work floor piled high with packages as managers try to get employees to work overtime or call in help from other stations. “I’ve had to lift king-size headboards and gazebos by myself,” she said. “Fifty-pound bags of dog food are common.” She said that Amazon marks heavy packages “TEAM LIFT,” but that she and other clerks often have to lift them alone. “It’s lucky one of our clerks is a bodybuilder or else some of that stuff would never get moved,” she joked. Out of 10 clerks in her station, Amanda said she can only think of one or two who haven’t had a work-related injury, and multiple have had surgery. The strain is just as great for the USPS employees who drive the mail trucks and walk mail carts up and down the streets. In 2013, Amazon and the USPS inked a Negotiated Service Agreement. Many of the details about this agreement remain secret (a mostly redacted version is available online), so it’s unclear exactly what USPS management promised Amazon, but the most visible consequence was that USPS carriers began delivering Amazon packages on Sundays and federal holidays. Brian Renfroe, the executive vice president of the National Association of Letter Carriers, the union for non-rural Postal Service deliverypeople, expressed more comfort than Dimondstein about Amazon as a customer. He emphasized that the relationship between the two entities meant more business for the Post Office: “The more packages there are, the more revenue there is, so we obviously welcome that. But it does make the work more physical. You spend more time handling each delivery, the trucks fill up faster.” Where before there would be 10 packages on a route, Renfroe said carriers now often have between 40 and 70. But for Liam, a mailman in the Philadelphia area who asked that his full name not be used due to fears of retaliation from management, that increase makes a difference. He said having more packages on a route makes an already difficult job worse, slowing down each stage of the process. Packages fill up trucks and satchels quickly, meaning he has to make extra circuits and sometimes return to the station for a second load. He’s slowed down even more if he has to deliver a “TEAM LIFT” package by himself. Rather than beefing up its career workforce, the USPS has leaned more heavily on low-paid carriers, called City Carrier Assistants (CCAs). CCAs are still unionized, but their starting salary is far lower, and they don’t get the same sick leave, scheduling flexibility, or retirement benefits afforded to career Postal Service employees. It’s these newer, less experienced workers who are often forced to do Sunday delivery or complete extra runs when Amazon packages overflow. But there’s a contractually mandated cap, negotiated by the union, on the number of CCAs the Post Office can hire, and so even veteran carriers have felt the strain. To top it all off, all these deliveries happen in ancient trucks—“Long Life vehicles,” in USPS parlance—that Liam described as “death traps.” In addition to being prone to breakdowns, the trucks aren’t designed to fit large package loads, which results in additional trips to refill the vehicle. The USPS has recently made investments in upgrading its fleet, purchasing new Ram ProMaster vans that Liam said are better-equipped for packages, but the rollout has been slow. In the meantime, mail trucks that burst into flames mid-route are frequent topics of discussion on postal forums and blogs; Liam said it’s never happened at his office, but Hutkins said the flaming trucks are something of an inside joke among postal-service employees. Labor relations at USPS have never been perfect, but the PAEA and the recession set the interests of workers and management further apart than ever. Philip Rubio, a professor of history at North Carolina A&T State University and a former letter carrier, said that, although USPS unions and management “have always clashed over service and labor issues,” they were both historically “public advocates for the mission of the post office.” But Rubio said that since 2006 management has doubled down on its cost-cutting practices—thinning out the workforce, closing postal facilities across the country, and dragging its feet in response to the influx of packages. Granted, USPS leaders don’t have an easy job: Both management and unions have at various times considered raising postal rates, but large mailers usually lobby against the USPS when it tries. (Last year regulators raised the price of a stamp by one cent, which will help boost near-term revenue.) The current Republican-led Congress is unlikely to pass any bill that doesn’t push the USPS toward privatization, but progressive postal reforms could ease the USPS’s remaining PAEA obligations or forgive them altogether. Politicians like Senator Elizabeth Warren (D-MA), meanwhile, have argued that the USPS should have the freedom to pursue postal banking, which would generate revenue while combating the influence of payday lenders. Amazon, though, is proving to be an even more unreliable business partner for the USPS than Congress. It has hired independent contractors to deliver packages in more than 30 cities already, and recently announced that it would launch a full-scale delivery service, called Shipping with Amazon, that will compete with UPS and FedEx; the company also revealed plans for a Whole Foods delivery service a few months after blaming USPS carriers for the failure of an earlier Amazon Fresh delivery program. The company didn’t comment on how the service would change its relationship with the USPS, but if Amazon pulls away from the USPS, mail volume will start to drop and revenue with it. 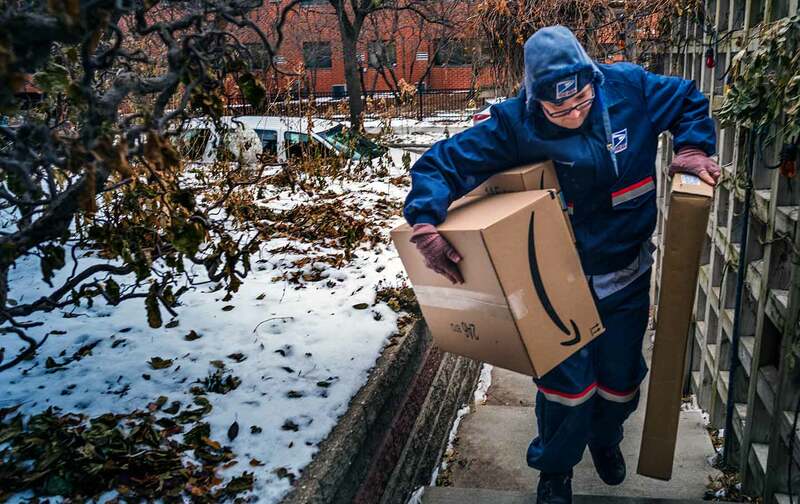 Either way, the influence Amazon has over the USPS’s future makes the urgent need for progressive postal reform and robust investment in the USPS’s workforce. For their part, the workers who deliver the packages aren’t optimistic: Liam said he regrets that management’s cost-cutting practices have created an “adversarial” relationship with rank-and-file employees.